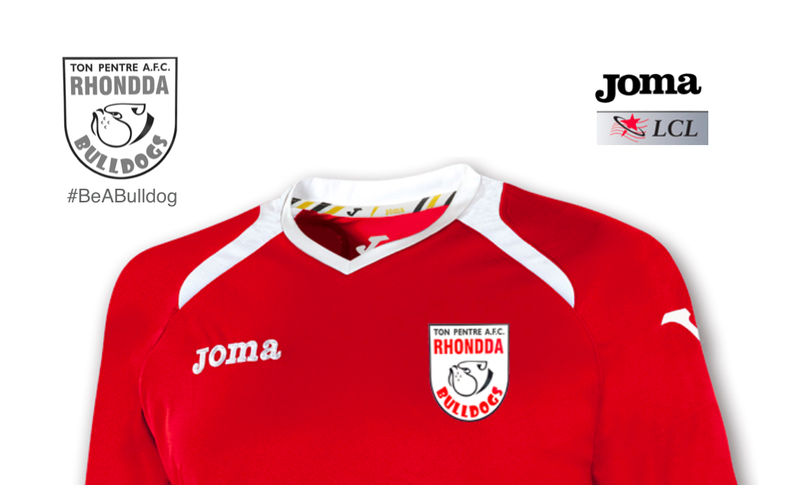 Ton Pentre produced a brave display against Bangor City on a heavy pitch at Ynys Park in Round 3 of the JD Welsh Cup, a match that was broadcast live on S4C and sponsored by Real Windows Limited. Following the disappointment of the previous week after the match was postponed late due to a frozen pitch, Bulldogs volunteers worked tirelessly in the build-up to this game to get it played. That work paid off and this was the very first time that a sporting fixture was broadcast live in the Rhondda Valleys. The Bulldogs started strongly and edged the first half against their Dafabet Welsh Premier League opponents. However, the early chances fell to the Citizens with Damien Allen striking from outside the box before Jamie Reed also forced Joe Massaro into making a fine save. Ton Pentre’s best chance of the match came from some poor Bangor defending when Gary Roberts played the ball under pressure to Danny Gosset in the 18-yard box. Having been unable to control the ball, Gosset was dispossessed by Leon Jacka, who stepped inside and beat former Wales international goalkeeper Connor Roberts with his curling effort. The ball looked well on its way to the back of the net but it rebounded off the inside of goalpost and to the feet of Liam Reed. The Bulldogs attacker had a gaping goal to aim for and after putting too much behind the ball he skied his effort high and wide. Reed looked distraught with himself knowing that he should have given Ton Pentre the lead. In what was to be the last action of the first half, Liam Hutchinson was forced into making a foul deep inside the Ton Pentre half of the pitch after Scott Hayward lost possession in midfield. The resulting free kick was taken quickly and sent to Gary Roberts in space on Bangor’s right wing. He crossed the ball to the far post where Brayden Shaw beat Tom Davies and Hayward to the ball, heading the Citizens into a 1-0 lead. Gôl! Brayden Shaw yn rhwydo i'r Dinasyddion. Brayden Shaw's header gives @bangorcityfc the lead! In the second half, Bangor produced a professional display to limit the Bulldogs potency, however, Ton Pentre were still creating chances and when Corey Shephard played a one-two with Jacka, the former Newport County midfielder came close to levelling matters from the edge of the box were it not for an excellent save from Connor Roberts. The Gwynedd based club could have added more goals were it not for Massaro’s best display in a Ton Pentre shirt. Another former Wales international and Manchester United starlet, Dan Nardiello came close when he peeled away from his markers to receive the ball at the far post, from where he sent a shot back across the goal but was denied by the crossbar. Bangor were to grab a second goal when Shaw’s cross into the box was met by Jamie Reed. His shot deflected off Hutchinson’s leg and directly into the path of Henry Jones, who had an empty net to aim for after Massaro had committed himself with the first effort. Gôl! Henry Jones yn dyblu'r fantais i Fangor. Jones nearly turned provider shortly after when he picked out Nardiello at the far post with an accurate cross. Massaro was quick across his goalmouth and produced a fine save to deny the striker. Jamie Reed was also causing the Bulldogs a few problems and after hitting the bar once he seemed certain to score when he was set through on goal, but a last ditch tackle from Bulldogs captain Davies, saw him deny the striker with a sliding tackle in the box that poked the ball out for a corner. The Bulldogs failed to give in and still went about creating chances and after Jacka and Small linked up well in an attacking move, the latter was set up to shoot deep inside the Bangor box. Small was left sprawled across the floor in disappointment after he sent his shot over the bar. Bangor deserved their passage to Round 4 and an encounter against Goytre (Gwent) but the Bulldogs put up a fantastic fight in difficult conditions with many leaving Ynys Park feeling they had done the Rhondda and Welsh League football proud. Ton Pentre’s next match sees them go to Penybont on Saturday, 17 December in Nathaniel Cars Welsh League Division One. The game kicks off at 2.00pm. You can watch the full match again on BBC iPlayer or S4C Clic.